We are committed to our campers’ safety and well being on their ride to and from camp. We provide door-to-door transportation from Westchester County, Manhattan, Riverdale and central pick ups in Brooklyn. We are located one mile from the center of Ardsley and just 30 minutes from Manhattan. We pride ourselves in the attention we give to detail. One of our directors, Gregg, and our Transportation Director, Erin, oversee the overall safety of our system from route design and parent communication, to the daily supervision of bus drivers and counselors. Door-to-Door transportation from all sections of Riverdale. Central stops in multiple neighborhoods in Brooklyn including Brooklyn Heights, Carroll Gardens, Cobble Hill, Fort Greene, Williamsburg, and Park Slope. All of our bus drivers have their New York State Commercial Driver Licenses (CDL). We use 20 passenger school bus vehicles and mini-vans. The vehicle is led by Elmwood bus counselors who visit you at your home prior to the first day of camp. He or she is responsible for and committed to the well being of our campers. Ardsley, Briarcliff, Bronxville, Chappaqua, Dobbs Ferry, Elmsford, Hartsdale, Hastings, Irvington, Larchmont, New Rochelle, Pleasantville, Purchase, Rye, Rye Brook, Scarsdale, Tarrytown, West Harrison and White Plains. All of our bus drivers have their New York State Commercial Driver Licenses (CDL). We use 20 passenger school bus vehicles and mini-vans. 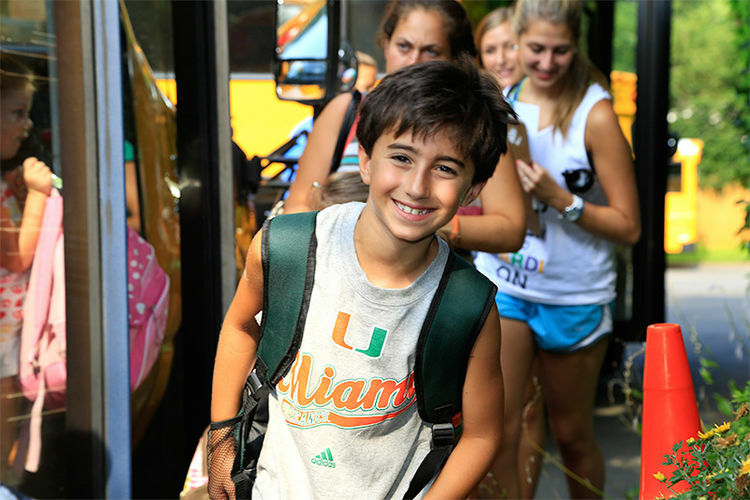 Each vehicle is led by an Elmwood bus counselor who visits you at your home prior to the start of camp. He or she is responsible for the well being of our campers.